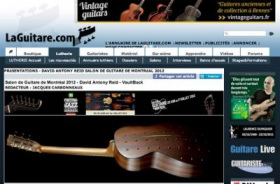 I was asked by Jacques Carbonneaux, of LaGuitare.com, Paris, whilst exhibiting at The Montreal Guitar Show in June/July, 2012, if he may record one of my VaultBack acoustic guitars being played, interview me and post a write-up on their website. I happily obliged and here it is for all to see. Enjoy! An Incredible Quote From The One and Only William "Grit" Laskin. 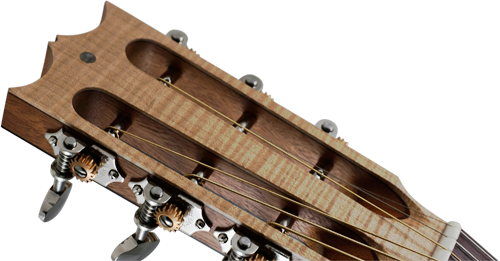 YouTube video of my new VaultBack being played by Peter Green and friends' 'Mike Dodd'.